On July 1, 2001, a nationwide law in Portugal took effect that decriminalized all drugs, including cocaine and heroin. Under the new legal framework, all drugs were “decriminalized,” but not “legalized.” This means that drug possession for personal use and drug usage itself are still legally prohibited, but violations of those prohibitions are deemed to be exclusively administrative violations and are removed completely from the criminal realm. Drug trafficking continues to be prosecuted as a criminal offense. Since the enactment of that law, Portugal is and remains the only European Union state to explicitly “decriminalize” drug usage. While other states in the European Union have developed various forms of de facto decriminalization — whereby substances perceived to be less serious (such as cannabis) rarely lead to criminal prosecution — Portugal remains the only EU member state with a law explicitly declaring drugs to be “decriminalized.” More than seven years have now passed since enactment of Portugal’s decriminalization system, and the results are overwhelmingly positive. One can even say that this was one of the most successful drug policies in recent history. Drug usage rates in Portugal are now among the lowest in the EU. The effect is even more pronounced when you compare Portugal with states that have stringent criminalization regimes. Drug-related pathologies — such as sexually transmitted diseases and deaths due to drug usage — have decreased dramatically there. This is due to the fact that instead of putting drug users to jail the government offered Portuguese treatment programs to its citizens. In countries where possession of drugs is considered a criminal offence the most substantial barrier to offering treatment to addicts is their fear of being arrested and prosecuted. Even in those countries where drug users are not typically punished with prison—such as Spain—the stigma and burden of being convicted of a criminal offense remain. Therefore, in order to remove this barrier for those wishing to seek treatment, decriminalization aims at erasing the stigma attached to criminal prosecution for drug usage. Since Portugal enacted its decriminalization scheme in 2001, drug usage in many categories has decreased when measured in absolute terms, whereas usage in other categories has increased only slightly or mildly. None of the parade of horrors that decriminalization opponents in Portugal predicted, and that decriminalization opponents around the world typically invoke, has come to pass. In many cases, precisely the opposite has happened, as usage has declined in many key categories and drug-related social ills have been far more contained in a decriminalized regime. 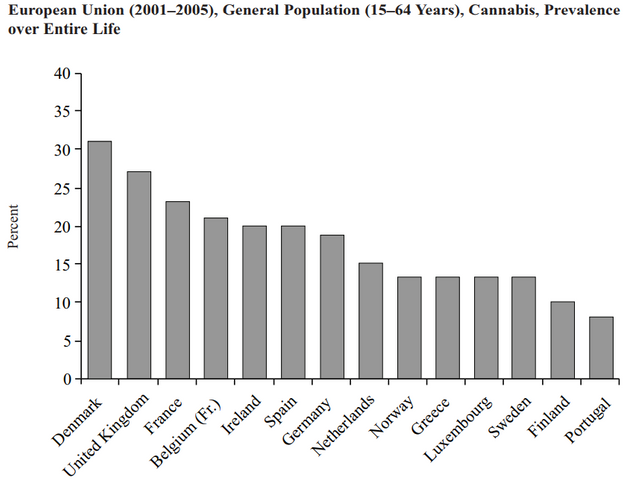 The true effects of Portuguese decriminalization can be understood only by comparing post-decriminalization usage and trends in Portugal with other EU states, as well as with non-EU states (such as the United States, Canada, and Australia) that continue to criminalize drugs even for personal usage. And in virtually every category of any significance, Portugal, since decriminalization, has outperformed the vast majority of other states that continue to adhere to a criminalization regime. By freeing its citizens from the fear of prosecution and imprisonment for drug usage, Portugal has dramatically improved its ability to encourage drug addicts to seek treatment. The resources that were previously devoted to prosecuting and imprisoning drug addicts are now available to provide treatment programs to addicts. Those developments, along with Portugal’s shift to a harm-reduction approach, have dramatically improved drug-related social problems, including drug-related death and disease transmission. The Portuguese have seen the benefits of decriminalization, and therefore there is no serious political push in Portugal to return to a criminalization framework. 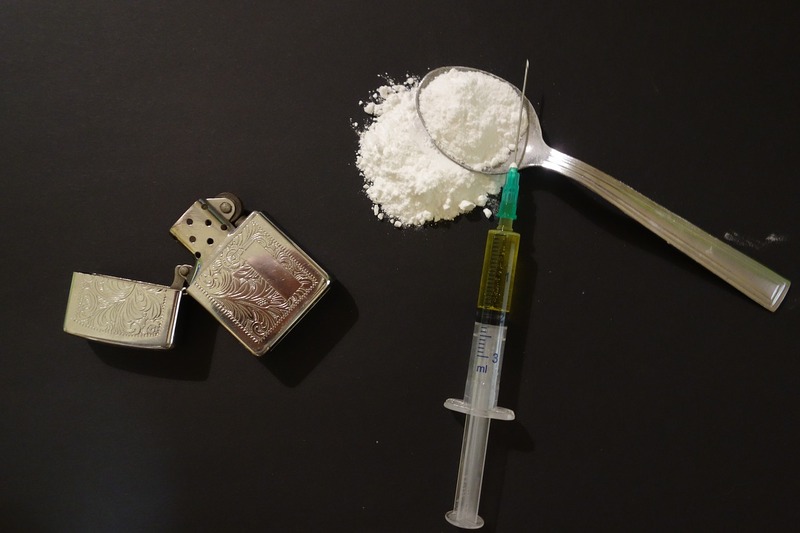 Drug policymakers in the Portuguese government are virtually unanimous in their belief that decriminalization has enabled a far more effective approach to managing Portugal’s addiction problems and other drug-related problems. Since the available data demonstrate that they are right, the Portuguese model is seen as the most effective government policy for reducing addiction and its accompanying harms. Source: Greenwald, Glenn. "Drug decriminalization in Portugal: lessons for creating fair and successful drug policies." (2009).